Publicado: Marin-Garcia, J. 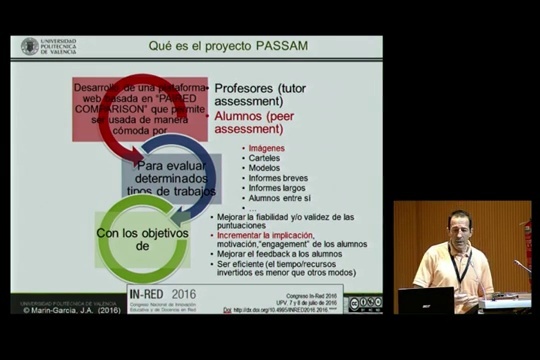 A., & Santandreu-Mascarell, C. (2015). What do we know about rubrics used in higher education? Intangible Capital, 11(1), 118-145. Purpose: In this paper we compare the search strategies and the results of three recent literature reviews on the rubrics use in education. With all this we aim to identify what is known, what it is not known yet and if there is material to launch a new literature review right now. Design/methodology/approach: Comparative analysis of three recen literature reviews and systematic literature review. Findings and Originality/value: Of the 142 papers included in the three recent reviews, few focus on university learning and the results are not broken down by educational level. We believe that there is no conclusive scientific answer to how to create and validate an assessment rubric for university courses, or what purpose they serve , or if it’s worth the effort to develop them. Recommendations for the appropriate use of rubrics are based on anecdotal evidence without robust and proven methodology. Nor is easy to find what subjects, or what objects, and in what contexts have been investigated the rubrics or which validated rubrics are available. 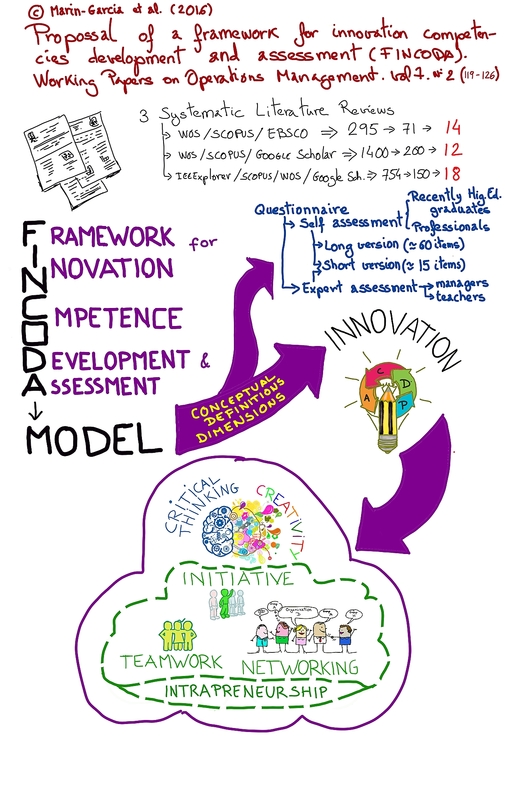 Universities don’t have tools to measure the development of students’ innovation competencies during their studies. Therefore we don’t actually know what teaching and learning methods are effective when aspiring the enhancement of innovation competencies, although we should organize higher education in a cost-effective way. Companies are lacking of tools and methods to assess innovation competencies as part of their knowledge management activities: in recruitment processes, in internal development activities and when subcontracting training services for their staff. We urgently need new reliable and valid tools for innovation competencies assessment that could be used throughout the young innovators path from university to working life organizations. Our project perfectly implements two priorities of ET 2020 Strategic Framework, namely “Strategic objective 2: Improving the quality and efficiency of education and training” and “Strategic objective 4: Enhancing creativity and innovation, including entrepreneurship, at all levels of education and training”. To make these priorities true in higher education, we need active university-enterprise cooperation and valid tools to measure intended learning outcomes. A toolkit for behaviour assessment: available as an electronic guide on the Internet. It can be used as a self learning material of guide for training purposes. Rater training workshop, targeted mainly for partner organizations. It will be organized in Hamburg Germany. It serves the purposes of training key staff from all partners to behaviour assessment as well as testing the novel toolkit. Participants will later on act as trainers in their own organizations and in cooperation events with other stakeholders. Innovation competencies assessment workshops will be organized in all partner countries. There will be joint format agreed in project level and HE partners are responsible for organizing those workshops in their countries, by utilizing their expertise and premises. In English, Finnish, Dutch, Spanish, German. 5 European universities that form a strategic alliance called CARPE (Consortium of Applied Research and Professional Education). TUAS (Turku University of Applied Science), HAW (Hamburg University of Applied Sciences), HU (University of Applied Sciences, The Netherlands) , MMU (Manchester Metropolitan University), UPVLC (Universitat Politècnica de València). 9 Employers of innovators and developers of new innovations; innovation intensive companies from 5 different corners of Europe. Elomatic Ltd (Finland). Leading European consulting & engineering company and a global provider of 3D Plant & Ship Design Software Cadmatic with over 700 engineering professionals. Hamburger Hafen und Logistik AG (HHLA, Germany) makes annually enormous investments in both vocational and in-service training for their nearly 5000 employees. Lactoprot (Germany) use outstanding innovative technologies to optimize production processes and quality in their core business. Focused on the processing of milk. ECDL (The Netherlands) is a multinational operator that has profound experience working with schools, educators and commercial enterprises. John Caunt Scientific Ltd. (UK) specializes in product innovation as the core activity of their nuclear radiation detection, measurement and shielding products business. Carter & Corson Partnership Ltd. (UK) has over 14 years’ experience in designing, developing and implementing competency frameworks and diagnostics in recruitment, assessment, development and training. They will work closely with partner HEIs in refinement and validation of assessment tool. Enterprise Europe Northwest EENNW (UK). Professional network targeted at helping SMEs, Universities & organizations to grow, be competitive & partner within Europe & third country partners. Celestica (Spain) provide electronics manufacturing services by their 30 000 employees and execute their business in Centers of Excellence strategically located in North America, Europe and Asia. Schneider Electric España SA creates new innovations to meet the planet’s energy challenge and make the smart grid a reality. HE students and staff of participating companies.